The Garelick 89421 is available in two different sizes, 16 ft. and 21 ft. which allows you to choose the option that’s best for your house and your needs related to height and more. It also has an aluminum body to make sure that it’s lightweight enough to carry wherever you need it and also to use above your head for extended periods of time. The rake is designed with a 24 inch blade, which allows you the ability to clear off your roof in a shorter amount of time and without having to worry about going over the space a large number of times in order to remove all of the snow that may be settled there. It’s also designed with rollers that are meant to keep the actual aluminum section of the blade from touching your roof where it could start to scrape off the coating on your shingles and cause damage to the roof itself. 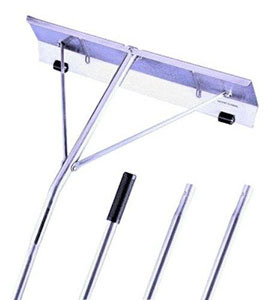 There are four different sections that snap together to get the handle as long as you need it for different sections of your roof and it’s capable of being taken apart or put back together quickly and easily so you don’t have to stop in order to keep moving and keep clearing as long as you want. Because of this, you’re able to get the entire roof done in a shorter amount of time and you can do it without needing to climb up on a ladder or other structure in order to get to all the different sections. This rake is intended to clear away large amounts of snow all at once so you can head out after a snowstorm and get everything taken care of right away before the next one comes rather than trying to get anything alter on. It’s not intended to clear away ice, however it can prevent ice dams from forming because it can sweep away the snow that starts to pile up. 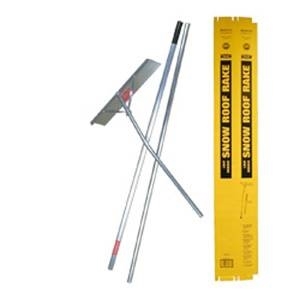 This rake will also start to clear away snow and other debris before it starts to fill up the eaves, thus ensuring that your eaves will not be blocked or damaged when the snow starts to pile up even more or ice starts to flow into them. It also makes sure that your eaves are protected when you’re using it by simply turning the blade to avoid catching on the outside of the eaves. If you have a roof that is constantly being covered by snow and ice then you’re definitely a good choice for this type of tool and this particular roof rake as well. If you find yourself constantly trying to clear the snow and ice before it causes problems or starts to fall down in areas where you don’t want it then this can help you with the process and make sure that your home is prepared when the next snowfall hits. This tool is designed to keep you from getting dams of ice or added snow weight in the eaves which can cause problems, which means it’s best for those who otherwise have no way of cleaning out these areas or who may be unable to do so without assistance. The rake is able to make this cleaning process easier and this can mean less damage to your roof over time as well as less damage to the eaves and even your vehicles, the rest of your house or anything else near the edge of the house. There are a number of features that make a good snow rake but one of the most important is that it should be able to protect your roof from any kind of damage that might come to it including damage from the rake itself. This means your rake should include some type of rollers or bumpers that will keep the blade from actually hitting the roof, which could result in scrapping the protective layer off your shingles if you are not careful. Another important factor is a little bit of an angle because if your rake is entirely straight it can only move forward and back without a whole lot of flexibility or movement available for you to get some of the other areas on your roof. You want something that is going to move wherever you need it at the moment and this requires a little bit of a bent section in the rake that can angle and swivel just a little. Next, you want your rake to be made with lightweight material because you’re going to be using it above your head for an extended period of time and several times over the course of the season. You want to be able to use it for as long as necessary without having to worry about how you’re going to clear off the rest of the roof or what you’re going to do when it comes time to clean off your roof another time. A lightweight metal or plastic rake is going to give you the most versatility and longevity in this because you’ll be able to hold it as long as you need to but you’re still going to get the job done the way you need it. These types of rakes can be simple to find and should be available anywhere you might want to look including most home improvement and hardware stores. Next, having a rake that you can telescope or add pieces to in order to get the right size is going to be another important feature to consider. The best rake should have more than one size option because this is going to help you get further up the side of your roof or even to the second floor when you need to but you can also shorten it when you’re looking to take care of lower sections on your house and need more control. We tested out snow rakes by talking to a number of people who are using these products or interested in using them in order to improve their home and the ability that they have to keep it functioning, safe and a whole lot more for a long time to come. We considered whether or not they had roofs that were going to work well with these tools and asked them to tell us about what they liked and disliked most. We were able to narrow down our list to find out more about what these individuals appreciated most and how they would like to be able to use their snow rake in other ways rather than just on their roofs to decide which additional features would be important. Upon working on this we were able to find out more about the costs that each person was willing to pay in order to get these products and also the way they would rank each of the features when considering them. Finally, we were able to narrow down our process through looking at each of the different features and the ranks that they were given and drawing conclusions based on what was the most important and which snow rakes would fit these qualifications. At this point, we were able to decide upon one unit which seemed to fit all of the qualifications best and provided a good result. This rake has received a rating of 4.5 on Amazon which is attested to by a number of happy users including one who said that he was extremely happy with the way this unit worked. It was inexpensive and has been used a number of times with no complaints. Even more, it is extremely lightweight but capable of moving large amounts of snow with no problems. It also can withstand a lot of abuse and strenuous use as long as it is used properly and not through mounds of snow. Another user also said that it is excellent for the purpose and that it has rollers to keep you from scrapping your shingles and ruining them while trying to clear away the snow. It’s able to get rid of a lot of snow at the same time and it can be handled quite easily because it is lightweight. On the other hand, it’s not designed to remove ice and this can cause some problems for those who tend to wait a little too long to get the rake out and start using it on whatever is piling up on their house. Yet another user has also said that this far exceeded their expectations because they didn’t even know for sure if it would work on the large amounts of snow that they had overnight on their house. 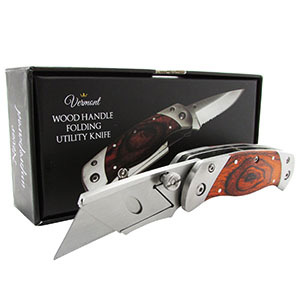 It turned out to be extremely lightweight, which made it a lot easier to use, and also to be rugged enough for the job without a whole lot of effort. It was able to clear away the snow and didn’t require a whole lot of work on the part of the user in order to get everything cleared without damage to the house, shingles or eaves. If you want this unit to last a long time you need to make sure that you are taking proper care of it and making sure that it isn’t being used in areas where it should be avoided. You also want to make sure you’re taking the adequate security precautions that are recommended to ensure that your rake isn’t going to result in damage to your house or to anyone else who happens to be around the house while you’re using it. 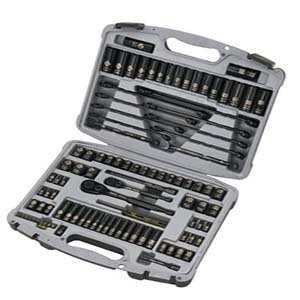 Overall, the Garelick 8942 seems to be a good unit that will provide a lot of use for a moderate amount of money. There are others that can provide similar, but this one in particular is designed to make sure that you are ready for whatever might come your way in the event of a snowstorm. This seems to be capable of pulling large amounts of snow at a time and will carefully clear off your roof without causing any kind of damage to the space. Overall, it’s designed in a way that makes it useful for preventing everything it’s intended to prevent and also for ensuring that your home is safe. 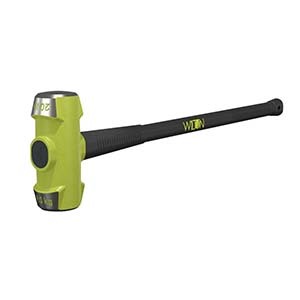 You’re going to have no problem using this tool either, even for second story roofs, as the reach is longer than a number of other units and therefore will reach easily wherever you want it to go. You’ll also be able to shorten or extend the rake to whatever you need by way of adding the pieces to get it up to 21 feet or shortening it to stay more in control at the moment. Either way, you’re going to be able to do anything you need as far as clearing.